So, I am sure by now that you have heard about the announcement yesterday (November 19, 2015). Specifically the one about the final approval being granted for the GMO Salmon that has been developed by the biotech company Aquabounty. 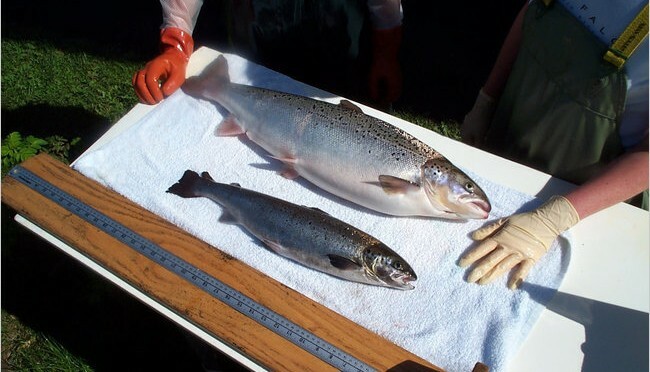 Well, with this announcement, it now means that this type of Atlantic Salmon, with a gene from the Pacific Chinook Salmon as well as another from the Pacific Pout, has been approved as safe for human consumption. So, depending on where you go, this means that a genetically engineered fish may one day (soon) appear on your dinner plate. Whatever you particular thoughts are on this, we thought it might be interesting to list a few other (common) products that you might not know have been genetically altered to enhance life in the modern age. Commonly Known Offenders — we all know that Corn, Soy and Canola (Rapeseed) are genetically engineered. Though many don’t realize that it is nearly impossible to find any of these three crops that are NOT GMO in the USA. Specifically in the US, 92% of Corn, 94% of Soy, and over 90% of Canola Oil is GMO in the US. 1. 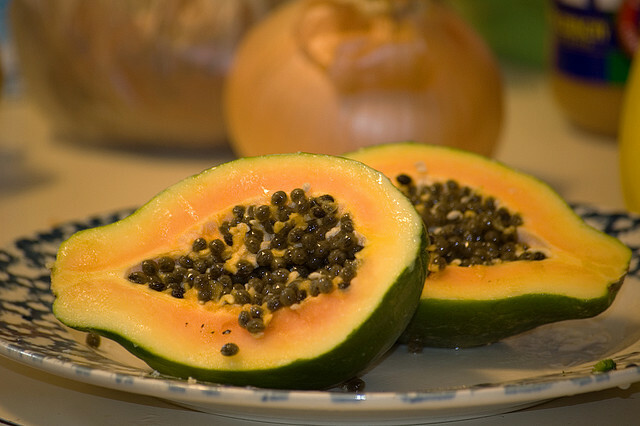 Almost all Hawaiian papaya has been genetically engineered to resist the ringspot virus. Know that, if you like papaya, you can thank the scientists who saved it. Its continued existence was doubtful without the scientific assistance. 2. 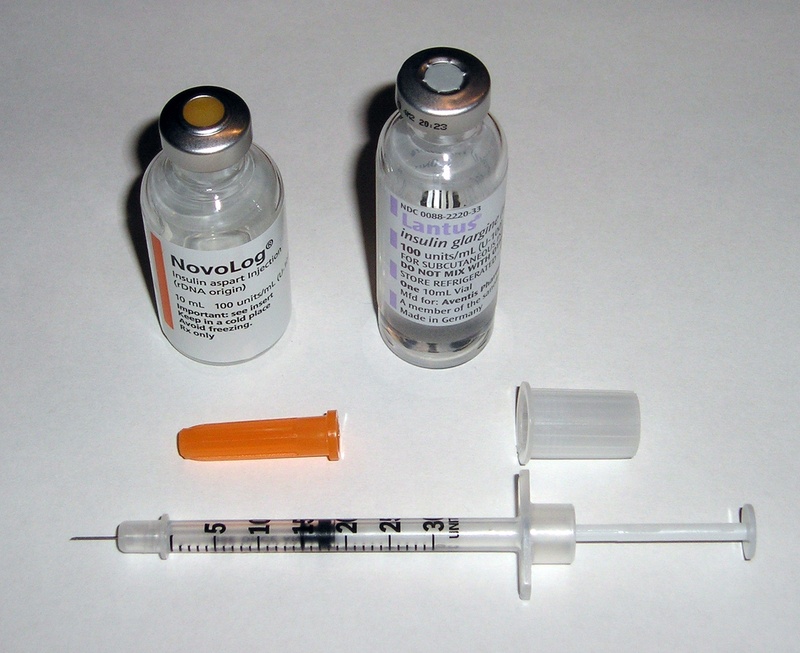 Synthetic Insulin: If you are diabetic, or if you know anyone who is diabetic, there is a good chance that the insulin that allows a reasonably normal life is derived from genetic manipulation in the laboratory of a strain of E. coli bacteria. 3. Human Growth Hormone: In 1985, the pharmaceutical industry made huge strides by developing a synthetic protein cultured in tobacco. HGH is approved by the FDA for specific uses in children, most commonly short stature of unknown cause and chronic kidney insufficiency. Its use in adults is limited. HGH has never been approved to enhance athletic performance, to build muscle or as a way to “remain young.” Its use has been controversial. 4. Cotton. You probably didn’t know that nearly 94% of the Cotton grown in the USA is genetically modified to prevent bollworms from destroying the crops. A smaller portion has been modified to be resistant to pesticides and herbicides, but either way – unless you are wearing silk or organic cotton, you probably have some GMO product on you right now. Bonus: Transplant Organs: Genetically modified animals, commonly pigs, are used to grow organs and tissues for human transplant purposes. And, while it’s not exactly the same as genetic manipulation, research is robust and continuing on cross-species use of cells and organs. Known as xenotransplantation, experiments have been ongoing for at least 300 years.